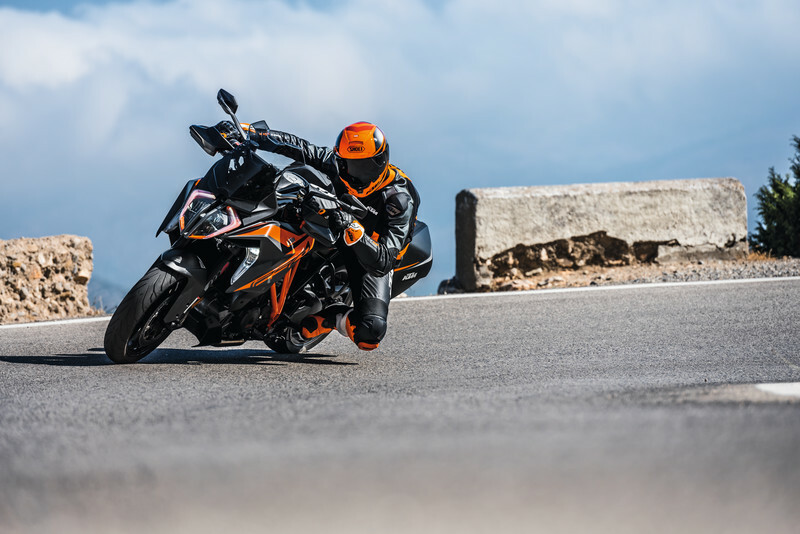 Fact or fable and whatever the decision-making process it was a good one because when KTM entered the sports tourer market in 2016 with the KTM 1290 SUPER DUKE GT it was in the typical READY TO RACE style – big on performance. 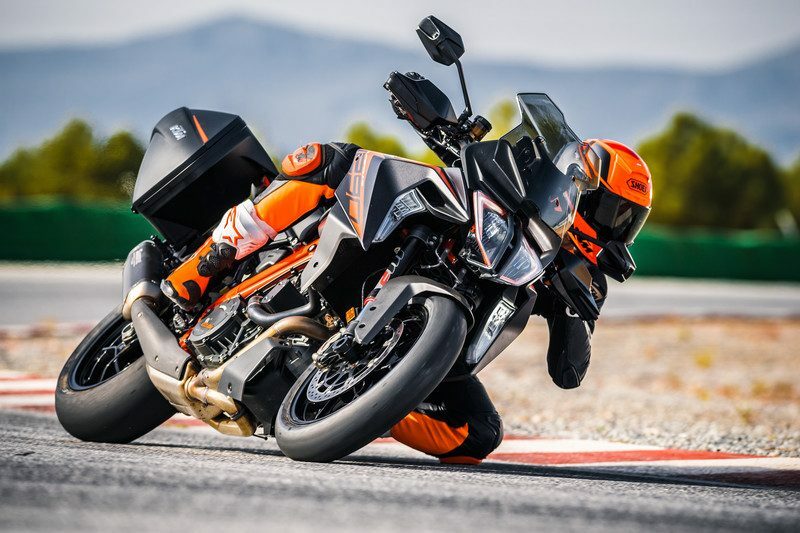 This new model in the range saw a SUPER DUKE less track extreme and more grand tourer with the results as predicted; a true long distance machine with the ability to play in the curviest of corners. But history has shown us that KTM never closes the throttle of development and no sooner had the first-generation GT hit the showrooms the R&D engineers were busy working on a sequel. Fast forward three years and KTM BLOG was at INTERMOT in Germany to see the covers come off this new GT. At first glance, the changes seem only minor; new headlight, eye-catching graphics. 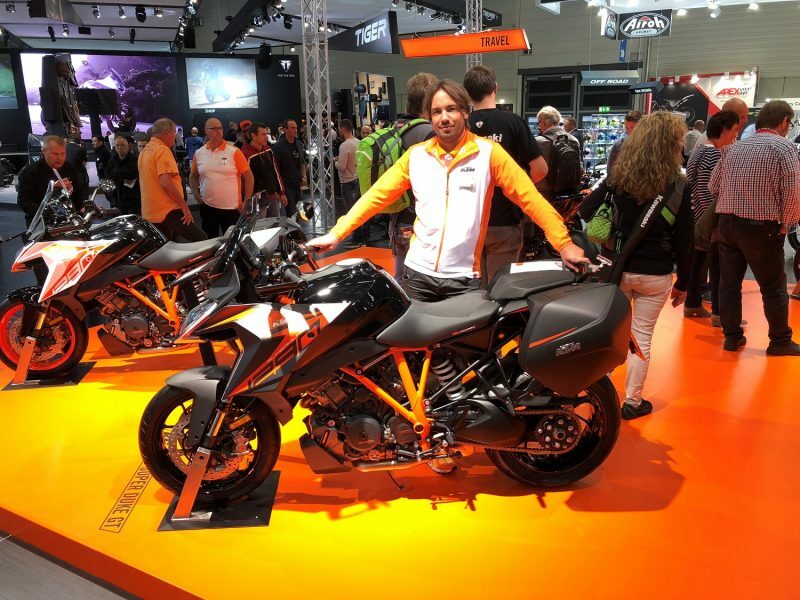 But Project Leader for the bike, Tobias Eisele, was in Cologne for the international motorcycle fair and spent some time with KTM BLOG to assures us the changes are both significant and a major improvement. Tobias, what’s new with the GT? What were the main goals for the new bike? How much did you listen to customer feedback? So how is the GT aerodynamically better? What part of the bike are you the most proud of? 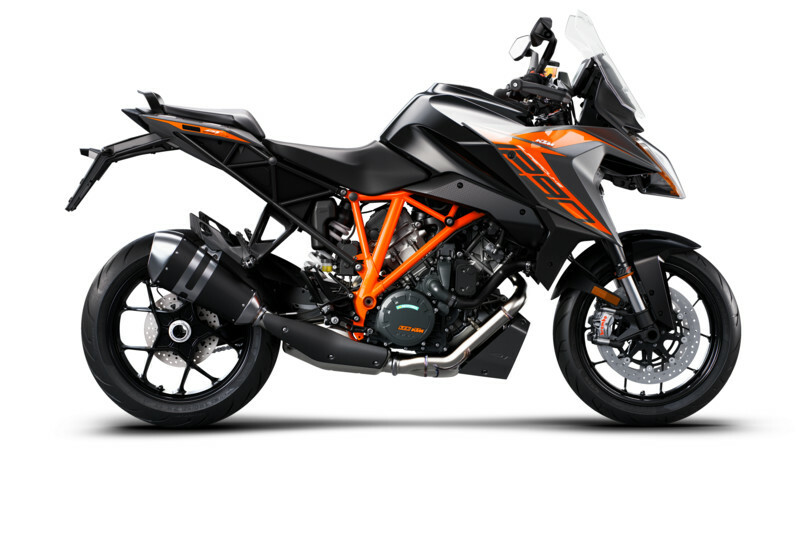 Backed up by a bigger array of official KTM PowerParts to further personalize this potent sports tourer, the KTM 1290 SUPER DUKE GT hits showrooms at the end of this year. Buonasera, sono un rider e posseggo una MV agusta 800. sarei interessato al modello super duke gt, ma in Sicilia nessun concessionario mi ha dato la possibilità di vederla e magari provarla. Vorrei sapere quanto tempo devo aspettare per vedere il modello in concessionaria. I live in Australia and my local re-seller in Sydney has suggested that we have to wait a VERY long time before we will get our hands on any KTM new modle. I realy want to buy one of these new GT’s and am happy to put a deposit down today, BUT will we see one within 6, 12 or 18 months?? BMW on the other hand seem to get product to us ‘Down Under’ a whole lot sooner. Just send me one – fully optioned, don’t worry about anyone else. I am ever so happy that I am now the proud owner of the new 2019 GT! This was achieved by one very tenacious sales person at Procycles (on ya Keith) tracking me down from this blog (I will add whilst I was in Hospital, having had 2 X angiograms). None the less I put down a deposit (from my hospital bed) and now have just 400ks on the clock. J’ai essayé la première version. Elle m’a beaucoup plus mais j’ai noté quelques défauts à mes yeux: hauteur de selle trop importante (ne permet pas de poser les pieds à plat pour quelqu’un mesurant 1,75 m), protection vraiment trop juste pour envisager des étapes routières de 500 à 1000 km par jour. J’espère que cette moto a progressé dans ces domaines. Hope you improve the sweetnes of the engine at low rpm, just like Super Adventure. Also the confort mode should be really confortable, for harsh roads or just relaxed trips. 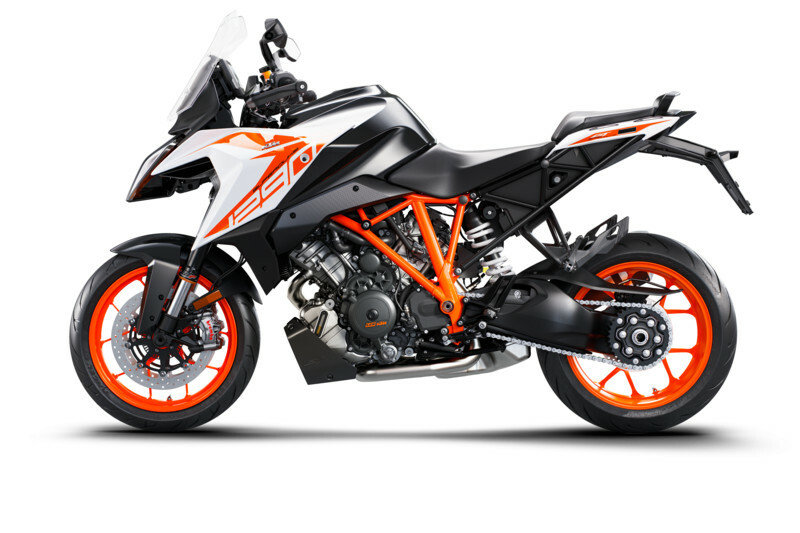 KTM really needs to make hasty work of developing a centre stand for the GT. I use it plenty on my current(shaft driven) bike; but on a chain driven bike it really is an unmissable tool. With 175HP on tap I doubt the weight will impact performance noticeably. She sits high as well so ground clearance should equally be no issue when fitted. What is the reasonable life expectancy from the 1290 motor? The current version isnt very happy below 4000rpm, have the changes been made to address this. And finally has top gear gearing been changed ( i see many people changing factory gearing as top is too tall)?